Local raw honey, preserves and butters, relishes, pickles, chutneys. Several varieties of toasted Granola. 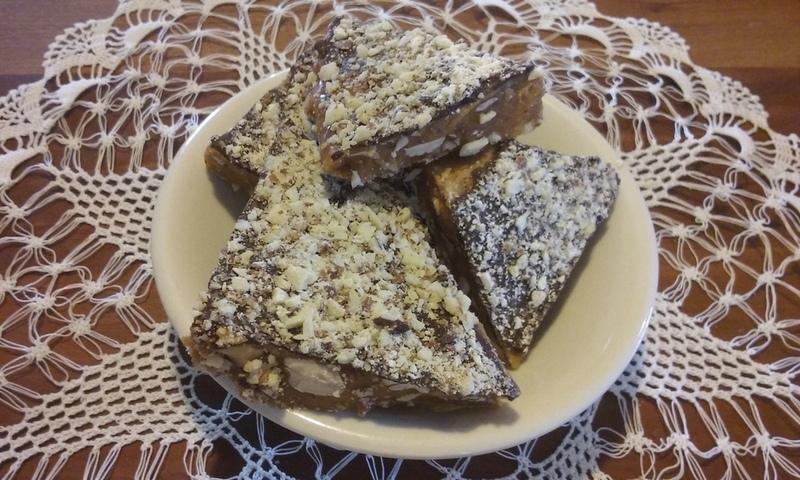 Special Greek treats such as Baklava, specialty cookies, frozen, ready to bake appetizers. GIFT BOXES & SHIPPING AVAILABLE! Artisan style and loaf breads in several flavors. Long, fermented raise adds to their flavor & digestibility. Take & bake FRUIT and POT pies. We use our very own farm raised chicken meat for our chicken pot pie. Other flavors also available. The flavor is superb! Bake it fresh at home for a quick meal. No fuss. WE DO THE COOKING SO YOU DON'T HAVE TO! GREEK STYLE LAMB STEW like Yiayia made it, using our very own grass fed lamb. HOMESTYLE CHICKEN NOODLE SOUP; starting with our farm raised chicken meat, slow cooked to extract the best flavor, lots of veggies, and the best part- homemade noodles from scratch! SLOW COOKED CHICKEN STOCK, eliminates the work, and gives you broth on demand. SOUPS, CHILI, TAKE & BAKE APPETIZERS & MORE! FEEL GOOD ABOUT SHOPPING IN OUR FROZEN FOOD SECTION..IT ACTUALLY IS HEALTHY!